> KPMG > Do you have the cybersecurity risks from cloud under control? 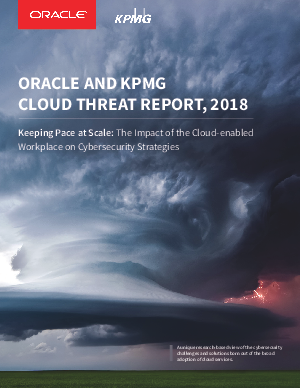 The Oracle and KPMG cloud threat report 2018 provides an up-to-date review of the cybersecurity implications and challenges of rapid cloud adoption. Is your organisation prepared?